Darrell Bourque's poetry collections include Call and Response and In Ordinary Light, New and Selected Poems. He is professor emeritus in English at the University of Louisiana at Lafayette where he served as the first Friends of the Humanities Honor Professor. 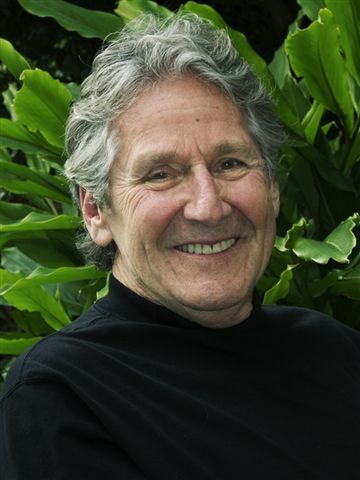 He also served as Louisiana Poet Laureate in 2007-2008 and 2009-2011. He lives in rural St. Landry Parish with his wife, Karen, who is a glass artist. I first “met” Darrell Bourque long distance, when he generously agreed to participate in my interviews of Franco-American poets for a talk entitled, “Maintaining and Reclaiming Ethnic Selves,” which I delivered as part of a panel on The Identity Formation of French Canadians in the United States at the 2010 78th Congres de l’Acfas held at the University of Montreal. With revisions, the talk was published by the International Journal of Canadian Studies in 2011 under the title, “Writing an Ethnic Identity between Worlds: Claiming and Maintaining a Franco-American Self.” Again, Darrell gave his permission to include our interview material. A year later, I had the pleasure of meeting Darrell, and his artist wife, Karen, when I read my poetry at the Louisiana Conference on Literature, Language and Culture in Lafayette, Louisiana. The conference was only my second visit to Louisiana’s Acadiana and it was thrilling. Since then Darrell and I have stayed casually connected through Facebook pages concerned with our shared background and interest in Acadian and Franco-American writing and scholarship in the US. When I heard that he was publishing a book of poems about Acadie I was thrilled. With his usual generosity, he agreed to be interviewed in conjunction with my review of MEGAN’S GUITAR and OTHER POEMS from ACADIE for the POETRY MATTERS blog. I jumped at the opportunity to again be enriched by his wisdom and kindness. (This interview was conducted by email in April 2013). CL: Congratulations on your new book, MEGAN'S GUITAR and OTHER POEMS FROM ACADIE, due out next month. I can’t thank you enough for your writing and your time. As someone from an Acadian family that is not very self-aware or reflective, you and your writing are a breath of fresh air for me. I’d like to begin by asking what drew you to poetry, especially to writing your own poetry? What has kept you writing poetry? DB: My introduction to writing poems came in a survey of British literature in the early 1960s when we were asked to imitate a Wordsworth lyric poem. I wrote a poem set in the fields of my father's farm and the main figures in the poem were a farmer and his wife digging sweet potatoes and realizing how much their love for each other was connected to working the land together. I gave my only copy of that poem to someone who never returned it, so I don't have a copy of that poem. Some 10 years later I felt deeply the loss of my maternal great-grandmother who was one of my best friends and a spiritual guide as I grew up in rural southwest Louisiana. I tried to document that feeling of loss in my first “self-generated” poem, so she is the one who set me on the path of discovering how to creatively remember; she was my Mnemosyne. Remembering deeply, creatively, and deliberately is what keeps me writing poems. That, and the fact that I always discover in the process of making a poem something that I didn't know I knew. CL: Would you trace for us your path from novice poet to your position as Louisiana’s Poet Laureate? DB: In 1981 I received my Ph. D. in English/Creative Writing from Florida State University under the direction of Van K. Brock who directed the program. Up to that time at Florida State I had written occasional poems but at the end of my studies for the Ph. D. in literature I began to take poetry workshops and it was clear that my academic life would move from the analysis of literature to the creation of it. In 1994 I published my first book of poems, Plainsongs, Chapbook #1 in Editor Stanley Barkan's Cajun Writers Series for Cross-Cultural Communications, Merrick, New York. In 1997 the Louisiana Literature Press of Southeastern Louisiana University inaugurated a poetry chapbook series and my book The Door Between Us was the first in that series. The poems from that chapbook were incorporated into Burnt Water Suite (1999, Wings Press, San Antonio, TX), my first full-length manuscript. In 2004 University of Louisiana began publishing a Louisiana Writers Series and The Blue Boat was the inaugural issue. In 2009 Jack B. Bedell, Editor of Louisiana Literature Press at Southeastern Louisiana University invited me to write a book of collaborative poems with him. Call and Response: Conversations in Verse (Texas Review Press, a member of the Texas A & M Press Consortium) is the result of that collaboration. In 2010 University of Louisiana Press published In Ordinary Light; New and Selected Poems. 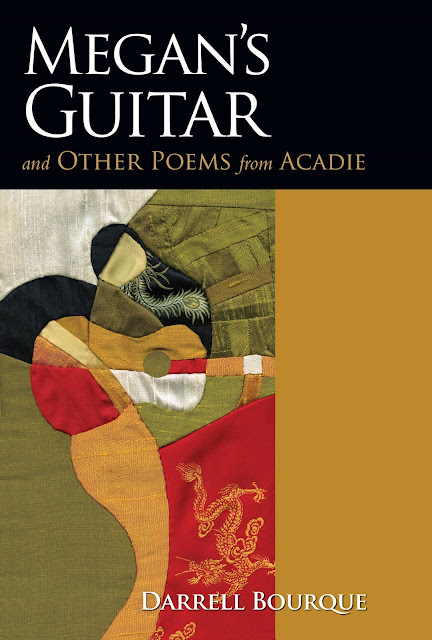 Megan's Guitar and Other Poems from Acadie is also a publication from University of Louisiana Press. In 2007 I was appointed Louisiana Poet Laureate by Governor Kathleen Blanco and I served in that position during 2007 and 2008. In 2009 I was again appointed to the state poet laureate position, a position whose selection is overseen by the Louisiana Endowment for the Humanities. While my first book was published by a New York press and other works were published by Texas presses, it is clear to me that it is chiefly the support of Louisiana presses that brought me to the position of being a poetry ambassador for the state and to the writing of a book like Megan's Guitar and Other Poems from Acadie. 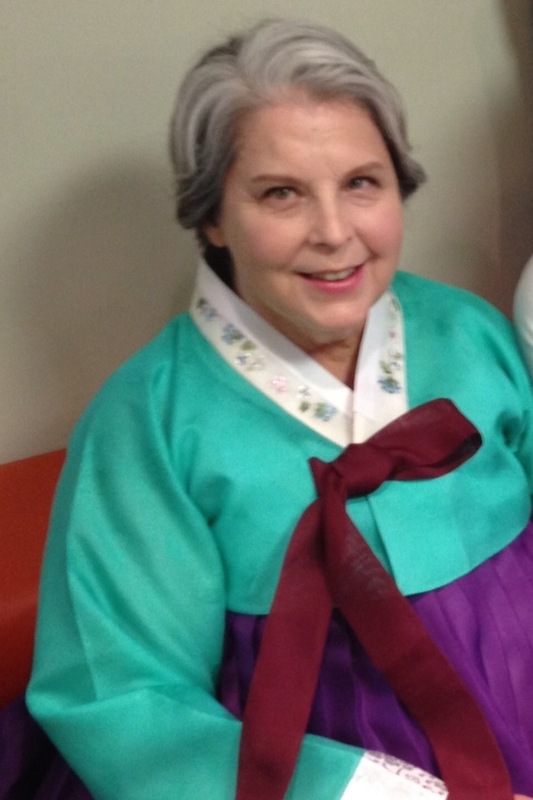 CL: Would you talk about the frequent reference to music—singing, instruments, the pounding hooves of racing horses, Megan’s guitar-- in your poems as well to the music you create in your poems? DB: I think it is often the songs and music of a culture that give us our first glimpses of who and what we are, how we exist in the culture. Hearing music is connected to the most essential rhythms of our bodies. It is the heart that teaches us our first potentialities for song and it is the heart that finally writes all the songs and music of a culture. The first songs I ever heard were French songs, mostly French children's songs, then came a deluge of Cajun and Zydeco music –Iry Lejeune and Clifton Chenier--, and country songs by Hank William's and Kitty Wells and the Carter and Cash families, then Chuck Berry and Fat's Domino, then Keely Smith and Louis Prima and Sam Butera, and then later Dinah Washington and Ella Fitzgerald and Louis Armstrong leading right into George and Ira Gershwin and all that richness that is part of the American Songbook. Cajuns did not emerge from a “reading” culture. We were rather a listening culture. Educational opportunities and challenges were very real for us. School and book study in Louisiana were simply not available for many of my parents’ generation, and the situation was even worse for non-whites in our state. So we largely depended on storytellers and oral traditions for cultural transmissions. The radio, and phonograph and jukebox culture I grew up in gave me music as a form of storytelling. I think that's where the music first embedded itself into my way of seeing the world and of responding to it. All that and the beautiful and moving music in Latin at High Mass in the Catholic Church of my early youth. And then too, jazz and opera, and all the possibilities that those forms offer for understanding the varieties and vagaries of the human heart. The human heart is the source of it all. CL: Do you have a favorite poem in MEGAN’S GUITAR AND OTHER PEOMS FROM ACADIE? If so, what is it and why is it your favorite? DB: I actually have two favorite poems: “Sunday Afternoons Behind T-Maurice's Dancehall” and “Agnès as Memory.” The first one, from the first part of the book, represents one kind of memory: something indelible, precise, easily accessed. I am attracted to the way the lines work and the form that emerged in the paired lines of the poem (nearly always in these bushtrack races recounted in the poem, only two horses ran), and in the poem as a whole. And then, I loved the discovery that what I loved about horses and their beauty and force and power was similar perhaps to what Degas might have seen in the horses of France, in the forms he was trying to capture in his paintings and drawings. It is always such a thrill to me to understand and appreciate connections with sensibilities and figures of another time, another place. The Agnès poem is an important poem to me because what it contains is perhaps the very reason that I wrote the book. Memory fades and there are erasure forces all around us where history and culture are concerned. And, recorded history sometimes contains deliberate misrepresentation. For all these reasons, we should always be wary of recorded history and we should always reexamine what we are told is true about the past. When I began writing that poem I assumed that Agnès had arrived in Louisiana with all the other Acadians in the 1765 migration. Only later did I discover that she died before the departure from Halifax and that there was no record of what happened to her. The tenuousness of both life and history, the incompleteness of recorded history, the tendency to disempower and diffuse the feminine in recorded history all stuck me as significant when I thought of women like her who were so essential to the survival of these dispersed souls. What I hope I have done in this poem is to suggest that women like her are perhaps most powerful in the ways they exist as residual presences in the culture. Her spirit is elusive and ever changing and therein lies her power as a historical figure. She is important in what actually happened to her and also in what she has become in the memory of a culture. CL: Beginning with the quote from Jose Saramago at the beginning of your book, you introduce the reader to a number of personalities: your parents, your in-laws, modern Acadiana artists and writers, as well as historical Acadian figures who found their way to Louisiana after having been deported from Canada in the 18th century. Would you tell us about the importance of these various characters to the themes of MEGAN’S GUITAR AND OTHER PEOMS FROM ACADIE and the relevance of the order of character appearances to the arc of your book? DB: We understand who we are and how we work as a people through other people. The epigraph for the whole book is that quote by Saramago, someone who knew exile and dispersal so well. And his statement about the essential unnameable, I accept as true. What is unnameable in us is the starting point and someone like Saramago is a guide in the journey into the nameable. The unnameable should not stop us from entering the world of those things that can be named and documented. The first part of the book is made up of the nameable in the life closest in time to my life. I begin with parents and family, with the artists and writers and accordion makers and musicians of my own time. They are contemporary guides and models; each one a creator and a kind of cultural nexus. The bridge section of the book is just that: a bridge from the present to the past. The three poems in this section are less about specific people than about transmission and vehicles of transmission: dreams, changes in the weather, guitars, songs, histories, transcience. The three poems of the second section are the window, or portal, or passageway leading into the older history embedded in the world we think we know and understand. The last section of the book is an exploration through historical character and incident in order to understand the present. History dictates that we begin with character and event; art delivers us to idea and knowing. The arc of Megan's Guitar is not unlike the kind of arc T. S. Eliot describes at the end of “Little Gidding” in Four Quartets: “We shall not cease from exploration / And the end of all our exploring / Will be to arrive where we started / And know the place for the first time.” I am trying to know the place of my human journey and I have to arrive at it with the we of the present and the past , the we revealed in personalities and presences I have encountered in both my own life and the life of my ancestors. CL: Your passion for your history, land and people reminds me of similar passions found in the writings of Pablo Neruda and Seamus Heaney as well as less widely known Franco/Acadian poets from Canada and the US. What poets—international, national and regional—have most influenced your writing in general, and in particular, the poems in MEGAN’S GUITAR and OTHER POEMS FROM ACADIE? DB: It is curious to me that I am less influenced by genre than by other matters. I love the works of writers like Neruda and Heaney, and Lorca. But I think it is the writing about the dispersed heart that ties me to certain writers that I know influence me: writers like Luis Urrea and Ernest J. Gaines, Louise Erdrich, Colum McCann, Colm Toibin, Rodger Kamenetz, Milan Kundera, Michael Ondaatjee, Salman Rushdie --some of them poets, most of them ficiton writers. Robert Frost and Adrienne Rich are deeply in the mix. And, Yusef Komanyakaa and Natasha Tretheway. CL: What advice do you have for other poets who consider writing about ancestral matters and homelands, especially if they are from traditions like the Acadian/Acadiana tradition which is less visible in the world of literature and/or national awareness in general? DB: One, research, research, research, and then be undaunted by the lack of knowledge your audience may have of the story you are trying to tell. Two, be guided by writers like Rudolfo Anaya, Joy Harjo, Leslie Marmon Silko, Frank X. Walker. The writer is more often the outsider than an insider and it is the belief in the beauty and the value of outsiderness that brings the poem or the story to light and into being. Have faith in the outside. CL: If I counted correctly, out of the 55 poems in MEGAN’S GUITAR and OTHER POEMS FROM ACADIE, 11 are ekphrastic poems, 14 are persona poems and 5 are poems of homage. What attracted you to these forms and what continues to intrigue you about them? In the finished manuscript there are 27 poems each in Parts I and III and 3 poems in Part II. DB: I have always been attracted to the ekphrastic poem and it is a hugely popular contemporary form and approach to the poem. Even before I knew of the ekphrasis in Homer, I loved the form used by Auden and William Carlos Williams. In the great modernist movement of the early 20th century it seemed as though all the major artists were making art off other people's work(s) and that was very appealing to me as my academic study of the poem was through the poetry of the early century. Then I discovered how Oriental poets and painters collaborated with poem and painting and how they seemed to expand and enlarge the idea and practice of ekphrasis using one art work as a springboard into another rather than the predominately descriptive approach of the more antique forms. Also, my academic interest at the end of my teaching career was in interdisciplinary humanities and that orientation brought me naturally to the yoking of art forms to get a better and deeper appreciation of them as humanistic artifacts. The persona poems in the manuscript brought me to an approach to the poem that was almost totally new and that had everything to do with the historical characters I was dealing with. Rather than letting the poem be a commentary that I was controlling, it seemed more authentic to let the historical personae speak for themselves. The homage poems are those that seemed to require some distance; the homage approach often used when a more reverential relationship seemed right. CL: What influenced your choice of the sonnet form for so many of the poems in MEGAN'S GUITAR and OTHER POEMS FROM ACADIE? How did you decide on the sonnet stanza and rhyme pattern you used throughout the book and how did you manage to follow through so consistently on the rhyme pattern? DB: I am so glad you asked that question because its answer is so connectedto this manuscript as a cultural artifact. Being brought up in a family and community where French was the first and dominant language of the elders, but also one that was forbidden in any educational process or institution, I grew up removed from what I still consider my native language even though I cannot speak it. Also, people growing up in this linguistically oppressive environment did not speak “proper” English. We were double-damned so to speak, speaking both a broken English and a broken French when we did try to speak the language. I began to experiment with the sonnet form in The Blue Boat and that was an intuitive thing. I did not know where I was going with this experimentation. But by the time I got to the end of The Blue Boat, I had a sonnet variant that I knew was mine and I playfully call it the Italo-Cajun sonnet. The sonnet as such is broken in many respects. It uses the idea of the Italian sonnet's octet and sestet but it breaks the octet into an opening and closing quatrain with an interrupting sestet. The sestet is an homage of sorts to Dante's terza rima rhyme but it is so sparingly applied/sustained in this form that it is but a scant remnant of that antique use. That idea of brokenness is also carried into the rhythmic elements of the poem. The poems often begin with attempts at strict iambic pentameter but meter does not sustain itself beyond a line or two and some poems periodically make an attempt to return to that traditional rhythmic element but the strictness is never held in the poems. The same is true of lineation; the lines often are broken and are governed most often by rhyme rather than sense or syntax. The rhyme scheme of these poems are abab/cdc/ded/abab. The broken sonnet or Italo-Cajun sonnet form is interspersed with free and more contemporary forms in Part I of the book, it occupies the 1st and 3rd positions in the bridge section with a long, three part free form poem in the middle, and it is the sole form used in Part III of the book. CL: I notice that you return to certain words, such as “rhyme” and “blue” in a number of poems. What draws you to these words? Are there other words that are dear to you in your writing? DB: I know more about the use of the word “rhyme” than the word “blue” but I will attempt to address the use of such words. For “rhyme,” I understand the world in terms of rhymes: visual rhymes, aesthetic rhymes, rhymes as sound, etc. If I see parings, I see either order or interesting disorder. I am forever looking for the mates of things and if there is something that will not pair, then that interests me too. The pairings of sound is what makes so much of poetry make sense and makes so much of poetry something that sticks to us. Rhyme is my orientation to order and the rhymes I love most are slant rhymes, sight rhymes, slant rhymes, imperfect rhymes. The technical uses of things like couplet, and triplets and quartets, etc., are founded in the idea of visual rhyme. “Blue” on the other hand is more elusive. I know that the blue I love has to do with that color being our state color, with that color having to do with a sound in music that is the most haunting musical sound, that blue suggests gravitas while it also is the color of the heavens. I know that my boat in The Blue Boat was a blue boat because it was the color of the contemplative mood I was going for in the poems. Blue, for me, is the color of thoughtfulness; the color of soul. And then, I think every poet has a core lexicon made of a cluster or clusters of words that are connected to the poet's psyche. And finally “blue” is such an easy word to rhyme and it fits the bill so perfectly for what one goes for in end-stopped rhyme, or the end-stopped unrhymed line. CL: In her essays, Evan Boland has critically examined the trope of woman as emblem for the oppression of Ireland in Irish poetry. While your poems present well-rounded pictures of believable women, in your end notes you refer to how in the poem “Beausoleil Meets Elizabeth Brasseaux”, “she is presented as a trope of resolve and focus and strength of character” of Acadian woman in exile. And I read your poem, “Evangeline” as an effort to “de-emblamize” Longfellow’s romantic figure in his poem about the Acadian Deportation saga. Three questions follow from these observations. What if any similarities do you see between the sagas of the Acadian and the Irish peoples? DB: I have always loved Irish literature and Irish song. Van Morrison and Sinéad O'Connor are two of my favorite Irish singers. Joyce and Beckett, Yeats and Thomas, William Trevor, Colum McCann, Colm Toibin, all writers I have followed and do follow closely. I love Irish film. I am very interested in the Irish tinker and traveler and the Roma in Ireland. My wife's family is Irish and French and both our families are Catholic. But those things do not answer the question you are asking. More to the point is perhaps the alignments that are forged by the fact that we are both a stubborn people, a prideful people. That we drink too much and are defined by a willingness to fall headlong into drunkenness. We chafe badly at the stupidly authoritarian. We are both poor people, hungry people, oppressed people; happy people, singing people, storytellers, unafraid of the dark and the unravelling. And interestingly, for me at least, our spiritual lives are mixed with ancient, unorthodox belief even as we follow the ritual and practices of belief systems that run counter to the ancient and the unorthodox. We are often blind and miraculously capable of epiphany. CL: Would you speak about the choices you made about which women to feature in your poems—your mother, your mother-in-law, modern artists and historical figures—and the way you chose to present them? DB: I grew up in a matriarchal family. A genuine power existed in the women in my family. The men, as in many cultures, went off to work, left us alone, or they drank themselves into early graves, or they chose silence and indecision in some cases because it seemed the way to cause the least harm or damage to those they loved. The women were fierce, did the banking and the business in many cases. Sometimes it was simply because the men died young and the women were left to fend for themselves: my grandfathers died long before their wives, my great-grandmother's husband died when she was 18 and she never remarried, my father died at 49 leaving my mother, who had never worked an outside job in her life, alone. My mother-in-law was a working woman from the time she was a young girl and five of her eight sisters served in the military in World War II. Those women were the models who taught me how to use intelligence, grit, and fearlessness to make a way in the world. The artists I admire greatly include Artemisia Gentileschi, Élizabeth Vigée LeBrun, Georgia O'Keeffe, Cindy Sherman, Niki de Sainte Phalle, Ida Kohlmeyer, and Lynda Frese, Clyde Connell and many others. They artists who were as creative, iconoclastic, innovative and important as the men they created next to but they never seem to get the same coverage, or fair coverage in treatments of art expression. I am naturally drawn to them because I am drawn to the outsider, the neglected—to whatever is threatened with erasure. I am a feminist because I was shaped by strong women and because I am drawn to strong, fearless women. CL: In your study of Acadian history, lore and writing do you see an emblematic pattern in how women are represented? CL: The men featured in your poems include your father, your father-in-law and legendary Acadian figures, such as Beausoleil. While you do not ignore the heroics of the past, you present each of these figures as complex and often flawed figures. Would you talk about the choices you made in what men to present and how to present them? DB: It was exactly that “complex and often flawed figure” I was going after in the men in the poems. It is often their flaws that humanize them. Men like Joseph Beausoliel Broussard are self-absorbed and self-serving but what makes them remarkable to me is that they are capable of becoming something greater than even their vision of themselves. History brings men like Beausoleil to answer a call for what is right and just and fair and caring as he evolves into the hero he became for the Acadian people, especially the Halifax Cajun of the 1764 expulsion. And as a leader, along with equally strong men like his brother Alexandre and his friend Joseph Guilbeau, they all become models for other oppressed Acadians and possibly even for other people who need hard-headed leaders who go against the currents of their own societies and times. Those kinds of flawed and complex figures are found in the modern day the cultural heroes of Czechosovakia, Armenia, present-day Palestine and present-day Israel and in the heroics of many great American figures, Martin Luther King, Malcolm X, Lyndon Johnson, John Kennedy and even William Jefferson Clinton. It is their hard-headedness and complexity that gives grit to their heroics. To me, all men (and women) worth talking about and worth being the subject of a story or poem has to be complex to be worthy of the place in the story. Otherwise, they become something closer to palliative than to characters worthy of a place in a poem, a play, a story. CL: Abbe LaLoutre was the least developed figure in your poems and the one that I sensed you had little sympathy for. Is my perception accurate and if so, what is the reason for treating him less sympathetically than other characters? DB: Abbe LaLoutre is finally un-heroic. He was the spritual leader of these people and men like Beausoleil looked to him for guidance, spiritual and otherwise. As I see him, he capitulated at the end. When these people looked to their spiritual leader he was setting their houses on fire to push them out of Acadie. While he could have been a powerful leader standing with the Acadians, he chose not to stand with them and to me he became the very pawn the British hoped he would be. While he worked and lived with the Acadians and with the Native American Mi'qmaqs, in the end his work was for something other than their well-being. Who knows what he was guided by? Whatever it was, that purpose seems obliterated by his final actions that led to the burning of the houses of the people of his flock. CL: The history of Acadie is steeped in Roman Catholicism yet only one poem, “The Feast Day of Saint Medard,” refers to any of the many religious feasts. For readers not from Louisiana, would you elaborate on the significance of this feast day and poem? DB: Because the history of the Acadians is as scant and incomplete as it is, we know they were Catholic but we do not know the practices and the rituals they particularly valued. The church at Grand Pre where the expulsion order was read becomes something we know as the locus of a political action and the action is underscored by the fact that such cruelty and inhumanity took place in the Acadians' house of worship. The thin tread of religious practice and ritual in the Saint Medard story is just that: a reminder that the threads to the past are fragile and rare. When the Acadians came to Louisiana in the two big migrations, 1765 and 1785, they eventually built strong Catholic communities, but the early rituals and practices and beliefs largely went unrecorded. These were new people in a new territory whose main objective was to survive in this strange and sometimes alien place. Stories like Saint Medard stay in the conciousness perhaps because these people were farmers and cattlemen and trappers and fishers and the weather was always something they had to pay attention to. Rain for 40 consecutive days or the lack of it would have had an impact on their daily lives and it would have had longer range consequences as well. Perhaps it is because of that connection to their daily life that such a feast day became important. But the practices and celebrations of Mardi Gras, the Lenten observations, the feast of la toussaint and many other Catholic beliefs (and superstitions) are an essential part of who these people were and how they lived their lives. CL: In the notes to two of your poems, “Venus Rising in Haiti” and “August 2005” you note that “The history of French Louisiana is tied in significant ways to Haiti, culturally, historically, linguistically” as well in shared experiences of natural disasters. In your opinion, how might knowledge of the Acadian saga lead to a more humane appreciation of present day political oppression and refugees around the world? DB: My knowledge of the Acadian story heightens my insistance on human rights everywhere. The story of any oppression is the story of all oppressions. If you have been part of a story of oppresion and erasure like this one, it seems to me that every country's challenges and policies on immigrant populations becomes a story that you are powerfully connected to. The oppression of women and girls the world over is connected to every story where one segment of the population sees itself as privileged or as having authority over another. No story of violations of human rights is unconnected to what happened to us as Acadians. Every genocide is connected to all other genocides. The erasure of Jews, or Roma, or homosexuals in the Holocaust is our story. Telling women what they can do with their own bodies is wrongful and invasive. Telling people who they can love and marry is a violation of human rights. Unequal pay for women is a violation of a human right. We are the Armenians, the Jews, the Untouchables, the Gypsies as they are called by so many. Or, at least that is what I hope: that experiencing the catastrophic and the inhumane would make us more humane, more evolved, more compassionate. But there is surely evidence everywhere that such is not the case. CL: What was the process of writing this book like for you? How did it compare to the process of writing your previous books? DB: For me, the writing of this book felt like the most important and the most significant work of my life. I knew what I was doing in the making of every other book, of every other poem, but none of the previous work felt so purposeful, so essential, so necessary. It seemed to me as though all the previous books, which all have strong elements of family, and culture, and geography and environment, were a rehearsal of sorts for this book. The previous books were all leading to this one. And, perhaps it is for that reason that I feel I have more riding on this book than I ever did with the others. This book is a huge investment for me; it is the book I had to write. CL: What future projects do you have planned? DB: As I have for the past 10 years or so, I will work with local groups in literacy and literature initiatives. I belong to the Ernest J. Gaines Board of Directors and I designed and coordinated a program for young writers this year. I will do that again for at least a few more years. I work with Festival of Words Cultural Arts Collective in Grand Coteau, Louisiana bringing writers and writing workshops and readings and writing contests to largely underprivileged and under-served rural communities. I am one of the founding members of Narrative4 based in Chicago and our mission is to bring story-exchange programs to troubled and at-risk sites all over the world. I am beginning to work with high-risk middle school students in Assumption Parish in Louisiana. I know that inside these kinds of projects a new book of poems will emerge but right now I have no idea what shape it will take or what subjects I will be drawn to. I have the best feeling I can imagine with the finishing of Megan's Guitar: clean, drained, done. CL: Thank you, Darrell, for writing MEGAN'S GUITAR and OTHER POEMS FROM ACADIE and for your generosity with your time. Caroline LeBlanc turned her energies toward making art and writing after thirty-seven years as a Nurse Psychotherapist. She continues the process of relocating from Northern New York to Albuquerque, New Mexico where she enjoys the regular sunshine and the rich cultural community. Her chapbook, Smoky Ink and a Touch of Honeysuckle was published in 2010. Recent work can be found in War, Literature & the Arts and The Louisville Review. She is the Writer In Residence for the Museum of the American Military Family and leads writing circles for women veterans in Albuquerque. Her writings focus on her own experiences as an Army Nurse, a military spouse and mother; her Acadian and Franco-American ancestry, and her own relocation sagas. I first “met” Darrell Bourque long distance, when he generously agreed to participate in my interviews of Franco-American poets for a talk entitled, “Maintaining and Reclaiming Ethnic Selves,” which I delivered as part of a panel on The Identity Formation of French Canadians in the United States at the 2010 78th Congres de l’Acfas held at the University of Montreal. With revisions, the talk was published by the International Journal of Canadian Studies in 2011 under the title, “Writing an Ethnic Identity between Worlds: Claiming and Maintaining a Franco-American Self.” Again, Darrell gave his permission to include our interview material. A year later, I had the pleasure of meeting Darrell, and his artist wife, Karen, when I read my poetry at the Louisiana Conference on Literature, Language and Culture in Lafayette, Louisiana. The conference was only my second visit to Louisiana’s Acadiana and it was thrilling. Since then Darrell and I have stayed casually connected through Facebook pages concerned with our shared background and interest in Acadian and Franco-American writing and scholarship in the US. As Natasha Trethewey begins her second US Poet Laureate term, we are reminded that modern poetry often celebrates the story of peoples historically oppressed and forgotten. In MEGAN’S GUITAR and OTHER POEMS from ACADIE, Darrell Bourque, past Louisiana Poet Laureate, highlights the life and little known history of Acadian peoples in Canada and Louisiana. Released in May, 2013, MEGHAN’S GUITAR has already gotten a great deal of attention in Louisiana. On Father’s Day, two Louisiana newspapers featured MEGHAN’S GUITAR in their Sunday Book Reviews. My interest in this book is very personal since Bourque and I share Acadian ancestry. While his Acadian ancestors resettled in Louisiana, mine resettled in Canada and New England after being deported from New France by English colonial authorities in the 18th century. Tyranny, greed, violence, displacement, forced migration, exile, genocide, resilience, resettlement and recovery—these realities of human existence endure in our world, just turn on the evening news. Most Europeans who arrived in the New World displaced the Natives inhabiting these territories. In contrast, Acadians, by reputation, lived cooperatively with the Micmac Indians in their regions of New France. In his book, A Great and Noble Scheme, Yale historian John Mack Faragher, called “the removal of the Acadians … the first episode of state-sponsored ethnic cleansing in North American history.” Modern conceptions of the Acadian people (often not recognized as such): Cajun and Zydeco music and dance, mardi gras in New Orleans or the Louisiana bayous, or Longfellow’s Evangeline. Acadians are this and more. Clearly, the Acadian saga has been lost, or forgotten, in the American melting pot. MEGAN’S GUITAR is a rich corrective to America’s limited perceptions of Acadie. The book presents an embodied story of exile, survival, racial and cultural revival. Rhythms and rhymes are important to master story teller Darrell Bourque, and MEGAN’S GUITAR AND OTHER POEMS FROM ACADIE dances with them. His redemptive poems sing through themes of the exile, wandering, water, visual art, music, spirituality—in short, the little known history and culture—of Acadie’s men and women now, and since their 17th century arrival in the New World. In addition to being a “good read,” the book’s 55 poems reveal Acadians as heroic, if sometimes flawed, exiles. They and their descendants are enduring, if not always endearing, characters who created rich family and cultural lives in the wake of the Acadian deportation and exile. Rooted for 100 year in New France, Acadie’s world tree broke into three virtual branches after le Grande Derangement of the 18th century diaspora: Acadian communities in Maritime Canada, widely dispersed Acadian descendent populations in several New England states, and the more distinct Acadiana communities of Louisiana. In the 1960, Acadians of all three branches reached out to each other, just as other oppressed groups struggled to raise their voices both nationally and internationally. The pulse of the book’s poetic triptych is the poet’s passion about his people and their revitalized interest in Acadian history, language, and culture. The 26 poems in Part I celebrate the life of contemporary Acadians and their neighbors in Louisiana’s “Acadie tropicale.” Here, ekphrastic poems are primarily written in the broken sonnets Bourque created for this work. (See interview). The more intimate poems are primarily written in couplets. Part II, “Megan’s Guitar,” contains 3 ekphrastic poems, including the three section free verse title poem. Part II forms a bridge for the existential, metaphysical and historical subject matter of the book. Part III, “Acadie du nord” (“Acadie of the North”) fleshes out mythologized as well as less well known Acadians who were deported from the present day Maritime Provinces of Canada by the English in the 18th century. It consists of 25 broken sonnets. Part I roots the poet’s life and writing in the heart of Louisiana’s Acadiana even as his poems wander through the worlds of art, spirituality and colonial history. “Acadie tropicale,” begins with four poems about daily life in the speaker’s family and community then moves into a series of tribute/ekphrastic poems inspired by the work of international figures such as Degas, Franz Schubert, Vincent Van Gogh and Canadian Arcade Comeaux. He connects experiences of natural disasters, colonial and Francophone heritages in poems such as “La Vie Contemplative,” “Venus Rising in Haiti,” and “August 2005” and “Pluck The Strings.” But mostly, the section’s poems reflect on the work, often international in scope, of known and sometimes obscure Louisiana artists, musicians and writers including Moisie Baudoin, Lynda Frese, Chuck Broussard, Megan Fleming, Ernest Gaines, Barbara Hughes, Ida Kohlmeyer, Megan Bara, Tom Stoppard, Mona Lisa Saloy, and Ernest Morgan, Jr. Like all good poems, each of these stands alone in terms of language, imagery, story and structure. None-the-less, the lengthy section of notes about at the end of the book is indispensable for a full appreciation of the allusions in the texts. I also found that viewing on-line images of the art works inspiring Bourque’s ekphrastic works enriched my reading of the poems. Let’s begin with a closer look at two of the more personal poems in Part I. Both have dream like qualities. Appropriately enough, the book’s first poem, “Before the Sparrow’s Wakened,” is about how the women in the poet’s family went about their serious job of “start[ing] the day…[b]efore daylight,” just as the poet is “starting” this book’s musical telling of stories long asleep in a forgetful American culture. This poem reminds me of the belief in some Native American cultures that members of the tribe must call the sun up each morning if the light of day is to return to the world. Bourque’s poem is a dreamlike memory and incantation. It introduces the theme of women as strong, evocative, vital, independent, loved and respected agents of Acadian life and culture. Here is the poem in its entirety. of my aunts in my mother's kitchen. gateau strop or des orielles de cochon. Here we have the elements of a rural culture: early risings for work, relationships, adults, children, food with colloquial names, gender linked roles, and nature. The women are “like gauzy apparitions,” to the waking children, who hear only the music of their voices, as well as to the present day poet and reader. Their powers in the visible world produced savory smells and foods. Their powers in the unseen world allowed them to “put on the table… the anxious thoughts… [they] carried inside,…. [They then] lighted the room with…whatever gleamed in their lives or in lives close by.” They might not have been able to control their fates, but they engaged their fates with authority: they took “this hour…as their” and “their job [was] to start the day” in their universe. “Before the Sparrows Wakened” is a multilayered, yet straightforward, and melodic telling of childhood memories. The commentary on the memories is embedded in its rich imagery and the interpretations of the adult speaker as he looks back. “Turtle Dreams” is more self-consciously reflective. The lines about the speaker’s therapist move the reader from earthly details to symbolic musings. “As above, so below,” is an alchemical axiom exemplified by the last 7 lines of the poem. The poet can see himself “in mud, see myself lazy and inert/…almost out of the scene.” These lines have a both/and quality. Perhaps, to a certain extent, the speaker longs to withdraw into a lazy inertia, to rest from his demanding work. Perhaps the speaker simultaneously, or alternately, struggles with the perennial artistic fear that his inertia will compromise his creativity and his place in the creative world. As luck (or the unconscious) would have it, the both the alchemical and creative process include, even require, fallow time “in the mud.” The dream maker responds to the poet’s visualization, and the effort he makes to create this turtle poem, with an unearthly turtle “so transparent / as hardly anything in this world as we know it…/Illuminated and fixed/on an altar, underlit, a spirit rising by sitting still.” The mud of the philosopher’s stone transforms into the blue glass turtle of spirit—transparent yet unknowable. It is the inseparable and bewildering dance of body/soul/spirit. “The altar part I understand I think, but the glass reptile itself/ is the mystery, so blue and so thick, and so transparent….” The mystery, in itself transparent, remains in many ways unknowable to us on this earth. We can only live it, in awe. motive, work/rest, significance, inspiration and service? What writer does not know the awe of having a vision and marveling at the help from beyond when he works to give it form? Near rhymes and repetitions are scattered throughout “Turtle Dreams,” but it is the poem’s rhythms and the image of turtle as physical emissary of spiritual truths, embedded in minutia of daily life, that holds the poem together. The poem, “Turtle Dreams,” is a creative act which simultaneously operates on a physical and spiritual level, even as it addresses the inner and outer creative process and community. Lastly, it introduces the reader to other writers in the poet’s creative community, as do the book’s many other ekphrastic poems. Part I’s moves from a family to local to international focus. It ends with the couplet poem, “First Winter at Camp Beausoleil.” This initial poem about the Acadians 18th century deportation from New France links modern Acadian life with the distant past. When the century long trouble between France and English escalated even in Acadia, some Acadians moved further into the wilderness of Camp Beausoleil before being hunted down and shipped to various locations in the colonial world of the day. The epigraph for “First Winter,” is a quote from Franz Shubert’s song cycle, Winterreise, a song cycle of 24 poems by Wilhelm Muller about a lover, who arrived as a stranger, leaves, again as a stranger, during a bitter winter after his love rejects him for another—a variation on the discovery then loss of his ancestors’ beloved Acadie. …I will play you a cycle of terrifying songs…. These songs please me more than all the rest…. The cows inch close to each other. so close they sometimes touch. climb on top of each other. People pull their shutters closed. & night sings wind songs. Light pulls away from the western sky. writes this cold into a poem. no air is sure & no one is safe. Though the forms of the poems differ, “First Winter at Camp Beausoleil” is reminiscent of the poem “Digging,” in which Seamus Heaney pays tribute to the hardships of his ancestors’ lives, their digging of potatoes and sod with spades. With apology and resolve, Heaney ends: “But I’ve no spade to follow men like them.//Between my finger and my thumb/The squat pen rests. / I’ll dig with it.” Both poets inherit the tragic sequelae of their ancestors’ mistreatment under colonial authorities. Both poets resolve to bring that history to personal consciousness and public attention. Heaney’s trepidations about such a process are more implied, while Bourque’s are more straight forward: “That hard knot almost sleeping in you is not judgment.” The poet reassures and encourages himself, as well as the reader, to take on the “terrifying” task of telling cold ancestral histories. And if the knot is not judgment what is it? Perhaps grief, anger or the “Terror & Beauty [that] are copulatives/in the language of the heart.” The poem ends with a solemn warning to poet and reader alike: “In songs played in platinum registers/no air is sure & no one is safe.” This is a dangerous endeavor, this opening and debriding of ancestral wounds. Yet, like Heaney, Bourque continues to “dig” with his pen into his people’s history of colonial oppression, privation and survival, particularly in Part III of the book. Part II of MEGAN’S GUITAR consists of 3 ekphrasitic poems, which serve as a bridge between Part I’s focus on modern Acadie and Part III’s focus on Acadie’s 18th century history. The title poem is a long, 3 part ekphrastic poem which, like the pieces of art it reflects, invites the reader “inside a curved world” of colors, sound, artistry, history and story. Structurally, the last line of each section becomes the first line of the next, with slight variations in phrasing. The modern fiber art of Megan Barra is the conduit linking the history of the ancients to the modern pallet of Acadian names and culture, “wavering like time/inside this curved & trembling world of ours.” The third and last poem in Part II is “Vanitas.” Its last lines remind us that “[w]e are always slinking, always wedded/ to everything before and after us, even as every rage/ inside us is without consent quelled and put to bed.” These lines measure the progress from the poet’s fear of the “Terror & Beauty” where “no one is safe” into the poems of Part III where inherited rage and terror are not simply indulged or repressed but transformed. Bourque’s signature broken sonnet form, inserted sporadically in the previous sections, is the exclusive form for poems in Part III. The sonnets have longer or shorter lines but they all consist of four stanzas in a 4/3/3/4 line pattern. And they all have regular rhyme/near rhyme end of line schemes, though the specific pattern varies poem to poem. Part III employs persona and narrative poems about historical 18th century Acadian actors and incidents as a way of telling the story of Acadian exile. Cultural heroes, such as Beausoleil (Broussard), are portrayed in ways that recognize the characters’ flaws as well as their heroism. The emotional and ethical conflicts of cultural villains such as Rene Leblanc are explored. Critical and respectful attention is given to the suffering, strength and role of women in the survival of the race and culture. The poems create a sense of compassion for individual sufferings and failings as well as admiration for the courage and best efforts of individuals in the face of monumental hardships. These lyrical poems do not suffer from the romanticism found in many nostalgic histories of the Acadian saga, the seminal example being, of course, Longfellow’s “Evangeline.” Here is Bourque’s response to Longfellow, whose poem inspired landmark Evangeline statues in Grand Pre, Nova Scotia and St Martinsville, Louisiana. In the poem, Bourque refers to the St Martinsville statue. I grew into something that had to do mostly with what people needed of me. I am the loyal one, the one faithful to a man I may or may not have held dear. When rain and heat fall on fertile soil, things grow, & that is how I came to be. by right image & right sound, measured neatly in what others wanted to believe. Here we can see the rhyme scheme, very close to perfect, of a,b,a,b/c,d,c/d,c,d/a,b,a,b, and the 4/3/3/4 stanza line pattern. By naming the things that Longfellow’s Evangeline was not, Bourque names some of what actual Acadian women in exile had to contend with. Eavan Boland writes about the problem of the emblemized woman in poetry, particularly how she stands in for the oppressed Irish people in Irish poetry. Over the centuries, Evangeline has become the emblem for the ideal Acadian woman and the suffering Acadian people. In “Evangeline Speaks” Bourgue rejects this emblematic identity, making clear that such images are “measured neatly in what others wanted to believe.” As an Acadian woman, I am grateful that poets and Acadian men such as Darrell Bourque exist and write. He sees as a man, yet sees beyond what men want women to be, just as he sees beyond the one dimensional images of heroes that an oppressed people often cling to. For several decades, Acadian history and literature has received much attention in Canada. Not so in the United States. MEGAN’S GUITAR is a landmark work in the opus of Acadian and Franco-American literature. While MEGAN’S GUITAR is a distinctly American work, it exists within the tradition of the “Great Errance [Wandering]” Canadian scholar Hans R. Runte identifies as central to the emergence of a distinct Acadian literature in 20th Century Canada. In Megan’s Guitar, Darrell Bourque joins the tradition of Errance poets, such as Raymond LeBlanc, the “father of Acadian poetry.” Runte dubs LeBlanc an “arm-chair traveler” who explores the universe of imagination and world wisdom traditions, much as Bourque does in MEGAN’S GUITAR. In Errance the Acadian poet is “a wanderer,…an inhabitant of a borderlessness which makes him/her an identifiable citizen of the continent and the world. ‘Errance’ thus calls Acadians into being.… [These] poets have elevated ‘Errance’ to an existential and identifying principle, and ‘Errance’ rewards them with the foundations of a contemporary Acadian poetics” that links the Acadian diaspora experience to that of people exiled world-wide, whatever the century. (Runte, Writing Acadia, 133-7). MEGAN'S GUITAR and OTHER POEMS from ACADIE and OTHER POEMS FROM ACADIE is definitely a book for Acadian readers. It is also a book for anyone who want to explore what it means to be born into a fractured post-colonial heritage, to lovingly explore who their ancestors were—warts and all—and to celebrate a distinct cultural heritage in our homogenizing modern world. Writers wanting to write about their heritage, particularly if it is obscure like the Acadian heritage, will find in this book a priceless example of how to proceed. Whatever their heritage, poetry lovers will find that the poems of MEGAN'S GUITAR are not only synergisms of forms and subject matter that open the reader treasures of poetry and other arts. They are also melodic and rhythmic gems.